EMPLOYERS hired more locals and fewer foreigners last year as foreign manpower curbs continued to bite. And for the first time in a decade, the number of foreigners working here on an Employment Pass (EP) has fallen. EP holders are hired on salaries higher than $3,000 a month. Their falling numbers have, however, coincided with a sharp rise in the number of foreign workers holding an S Pass. These mid-skilled foreign workers earn more than $2,000. These trends stood out in a year that saw businesses struggling with the tightest labour market in five years, figures from the Manpower Ministry showed. The national unemployment rate fell further in the fourth quarter of last year to just 1.8 per cent - the lowest since 2007. In all, 129,600 more workers were employed last year. Of these, 59,200 were local - a significant rise from the 37,900 the year before. In the face of stricter quotas and higher levies, foreign employment growth slowed to 70,400, down from 84,800. Excluding construction and foreign domestic workers, the slowdown in the rate the economy added foreign workers was even more stark. Only 32,200 were added - about half of 2011's increase. Acting Manpower Minister Tan Chuan-Jin said he was "personally heartened" by the numbers, which showed that employers are now more motivated to hire locals such as working-age women and older workers. He said the drop in the number of EP holders was likely due in part to the tighter EP framework from January last year, which included better educational qualifications and higher qualifying pay. He also singled out the sharp rise in S Pass numbers as "cause for concern", but noted that some of it comes from workers who were downgraded from EPs. Economists from Barclays Research expect the tight labour market to persist. "We expect the unemployment rate to be about 2 per cent again this year. This will continue to put pressure on labour costs and, therefore, consumer prices for services that tend to be labour-intensive." Credit Suisse economist Michael Wan said the bank sees "a tightening in the S Pass segment... as the next logical step". Still, Mr Tan warned that Singapore should not expect low unemployment rates to be the norm. "As restructuring picks up pace in 2013 and the years ahead, we may see more unemployment as a natural outcome of job-seekers moving across jobs and industries." Meanwhile, experts said that Singapore's employment numbers were probably lower than they could be, largely because of the current labour supply constraints. 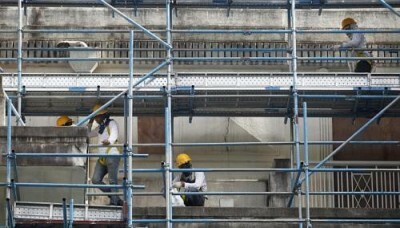 Noting that unfilled job vacancies have risen, Mr Mark Hall, vice-president and country general manager of Kelly Services Singapore, said employment growth "would be higher if the local workforce was more willing to take on some of the hard-to-fill positions traditionally associated with foreign workers". That was the case for bakery chain Bakerzin, which would have hired at least 20 more workers last year - if it could. "We just had to let go of a lot of projects," said chief executive Daniel Tay.